Keen to break into Latin America? We show you how. Plenty of trade scope exists for Victorian businesses in Latin America. And to cap it off, having an office in Santiago means the Victorian Government has ‘feet on the ground’ to develop business networks and open the continent up to Victorian stakeholders. "Over 100 world-class Australian companies use Chile as their regional headquarters." 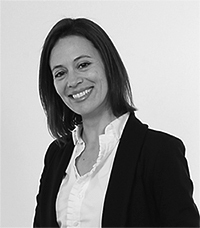 Notably, Chile is a convenient launching pad to do business with the rest of Latin America, explains Natalia Gorrono, the Senior Investment and Trade Director at the Santiago-based Victorian Government Trade and Investment office. "Chile has a free trade agreement network with Australia and most of its Latin American neighbours plus a stable regulatory framework – and over 100 world-class Australian companies use Chile as their regional headquarters,” she says. “These include mining, agriculture, food and technology companies, as well as science agencies and universities. They choose Chile as their landing pad and then expand operations across the rest of Latin America – it’s a well-trodden path and a friendly business ecosystem." Direct international air services to and from Victoria are also crucial in supporting business, tourism and investment flows. The new direct flight between Santiago and Melbourne is expected to lead to significant growth in tourism, as well as facilitate trade with more air cargo options into Latin America. Here are four growth areas for Victorian businesses. An upturn in mineral prices and entry and expansion of Victorian mining companies into Latin America presents a prime opportunity for our state. "We don’t ‘dig’ much in Victoria compared to other Australian states," concedes Natalia, "but we export ‘our smarts’ to the global mining industry. Victoria has a reputation as the finance capital for Australian mining and we’re also the innovation capital for mining in Australia." As mines and operations are established throughout Latin America, demand for METS, capital, infrastructure, education, community engagement, environmental and safety elements grow. Melbourne-headquartered mining companies such as BHP, Newcrest and Laguna Gold are either looking for new projects in Latin America (everything from copper to gold) or they’re already in Latin America and are looking to expand. Moreover, Victoria has a fantastic R&D ecosystem geared towards finding solutions for the mining industry. The CSIRO’s minerals division is based in Victoria, as is the Australian Synchrotron and AMIRA International – a member-based organisation of minerals companies and suppliers that jointly fund research. Increased purchasing power has led to an increased focus on healthy and premium food products and that’s where Victoria has a competitive advantage, notes Natalia. There’s a push in Latin American supermarkets – especially those in Chile and Peru – for healthy food alternatives, which is benefiting Victorian companies like Organ and Passage Foods. Agricultural technology, she adds, offers another lucrative area for Victorian businesses. "There are many opportunities for our agtech companies to export their technologies and ‘smarts’ to service Latin America’s agricultural sector." Victorian universities are increasingly popular among Latin American higher education students, presenting opportunities for continued growth is student recruitments from the region. There are also significant opportunities in Vocational Education and Training (VET) providers to develop local partnerships and respond to the region’s upskilling needs. "Our main education focus is to grow student numbers from Latin America into Victoria," says Natalia, "and this includes students learning English, plus university students. Global politics and Australia’s enviable lifestyle have positioned us as an attractive English-speaking study destination for Latin American students. Also, Victoria is a huge draw as our universities rank amongst some of the best in the world." Victoria is a leader in sustainable water management, urban design, and protection of the environment and its internationally-renowned architecture has played a key role in transforming Melbourne and regional cities into highly desirable places to live. Indeed, this transformation is something that other cities are keen to emulate. Rapid urbanisation across Latin American is calling for investment in water supply and sanitation, flood mitigation and public transport systems to create liveable and sustainable cities. Widespread open tender processes and growing interests in Public Private Partnership models are opening up opportunities for Victorian firms. The recently-released Globally Connected: Victoria’s Latin America Trade and Investment Strategy provides more details about opportunities in the region.